England play arch footballing rivals Germany tonight in a game that will provide valuable preparation for the crucial Euro 2008 qualifying games with Israel and Russia in September. 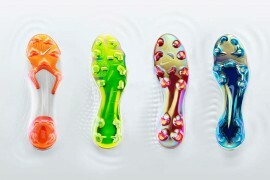 England, who have already lost the likes of Steven Gerrard (Adidas Predator Absolute), Darren Bent (Nike Mercurial Vapor III), and recalled Sol Campbell (Adidas Copa Mondial) to injury, will be hoping that Umbro football boot wearers John Terry (Umbro X Boot Destroyer) and Michael Owen (Umbro X Boot III) can provide the impetus to help overturn the 1-0 defeat they suffered at the hands of Germany in the last ever game at the old wembley in October 2000. 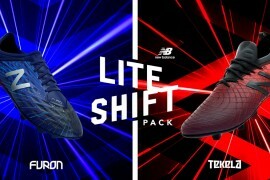 The game tonight also pits two football boot brands against each other as sponsors of the respective teams. 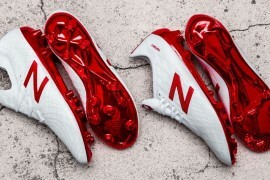 Coincidentally England are sponsored by English based football boot manufacturer Umbro, while German football boot brand Adidas supply the German national team. 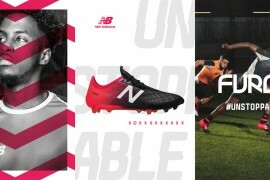 Though England are sponsored by Umbro, this doesn’t mean that Michael Carrick has to dispense with his Puma v-Konstrukt II football boots and swap them for a pair of Umbro Ultra SX football boots whenever he is on England international duty. However the sponsors of Germany, Adidas, had a clause written into its contract with the DFB (Germany’s Football Association) that all German national team players must wear Adidas football boots while playing for the national team. 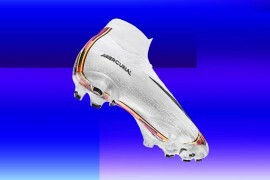 This issue was brought to a head last summer when Arsenal goalkeeper Jens Lehmann appeared for Germany during the 2006 World Cup wearing Nike Total 90 Supremacy football boots. Here at Footy-Boots HQ, we have even spotted Lehmann training in Nike football boots this morning, ahead of tonight’s match. The problems between the DFB and Adidas have refused to go away. 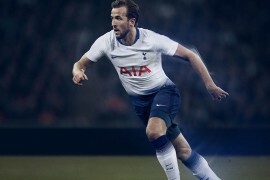 Indeed, as we revealed on Footy-Boots.com last week, Adidas and Germany’s football association are currently negotiating a settlement regarding their sponsorship dispute, with the DFB keen to adopt Nike as its supplier. 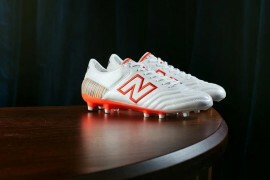 It will be interesting to see which different brands of football boots the German players are wearing tonight. Since last September the contract between Adidas and the DFB is changed, now allowing all players to wear whatever football boots they like. Part of this deal was the prolongation of the contract until 2014. But after the Nike offer of 500 m € for a 8 years contract the DFB doubted the validity of the prolongation. But now it seems that the agreed on a new contract until 2018.